Spiraling Out is a ‘narrative experience’ revolving around the theme of ‘What Home Means To You’ , so we made a game about a snail growing out from his shell and figuring out the next thing he could claim as his home until he finds the place where he belongs. 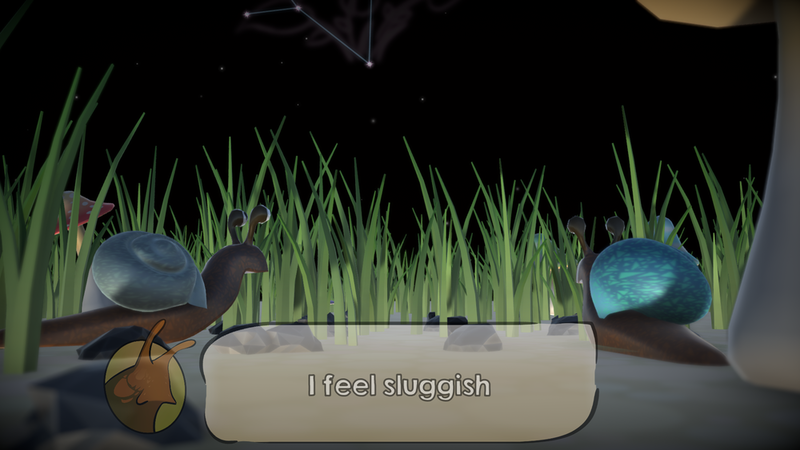 You start the game feeling itchy in your shell and you eat grass until a can falls from the sky. You use that as a shell while eating more grass - and dodging feet trying to stomp you. When you have grown enough you can participate in a race where you win a house that you use as a shell for a few years. Then you move on to a blimp which allows you to fall into a volcano and claim earth as your shell. Ultimately you take a whole constellation for yourself. The jam started quite late on Friday, and the theme ‘What home means to you’ left us perplexed. There are plenty of different ideas that could be explored around it. We could’ve remade Home Frequency, but in 3D. 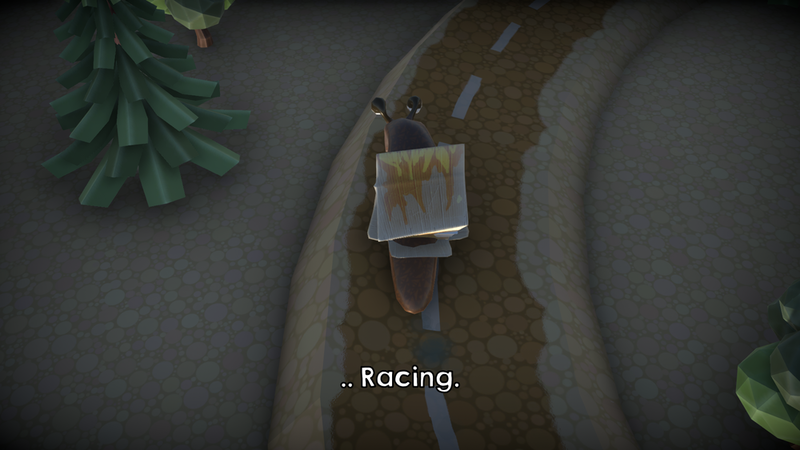 I suggested a survival game where you would crash at different camps in order to reach your objective, and then the idea of snails came to light. We had already used snails in a past jam, but now the concept was fairly different; You would play a snail that didn’t feel right and needed to find a better home. We assigned work on Friday, but it was too late so I went back home. I wasn’t super enthusiastic about working on some mini-games in a larger product, but went along with it. One of my coworkers did voice acting and narrative design and another programmer worked on some core systems and a few minigames as well. We had two artists that started on 3D assets. Things were a bit shaky on day two and I had a few issues with the workflow of dealing with assets and using them in Unity while not being sure if they were right or if another version was available. My laptop also caused me great frustration - it’s starting to get a bit old - and I managed my first minigame (moving left without being spotted by humans) in the morning. In the afternoon I went with the second minigame (a blimp endless runner) and then I did the space scene later. On day three I still had a ton of stuff to do, materials and sprites broke here and there and there was a ton of audio triggers to add in the game. Thankfully there was a system already made by another programmer to deal with this and it worked fairly well. I tweaked gameplay systems for a good while, then we were in the polishing phase where I felt a bit left out and didn’t have much to do. Everything came out in the last minute, but we had a massive influx of people trying the game and we were the #1 choice of the judges! Spiraling Out is a great game that I’m happy to have worked on, however I don’t feel that I learned anything as a programmer and the spots that were the most interesting to me (polishing the gameplay I had already done, along with graphics and other visual improvements) was done by someone else. Still a good experience overall!